When we first introduced Web Meetings in 2015, WebRTC was still a very new technology. Its use of high-quality codecs for audio and video was not only taxing for processors at that time but also a challenge for some internet providers. Today, more than 2 billion users already have access to a browser supporting WebRTC, eliminating the need to install special software or plugins to make audio or video calls. But now not only is WebRTC available for more users, web browsers in general and web technologies have also greatly improved since then. A result of these improvements is the so-called Progressive Web Apps (PWA). PWAs aim to increase the overall experience of end users by making web applications reliable, fast and engaging. Part of this is achieved by making a web application feel like a natively installed app, by offering the possibility of system notifications and the optional ability to install shortcuts to launch the PWA outside of the usual browser window. And all this with the same “application” and not only in the browser on your desktop pc or laptop but also on mobile devices and tablets. Focusing on these improvements we decided to completely rewrite Web Meetings as a PWA (called Kopano Meet) and add additional components to our Kopano stack (like OpenID Connect for authentication and a Rest API for data access) to aid in achieving this goal. Of course, no one can really say how closed source applications like Skype for Business or Cisco WebEx implement security exactly, but both WebRTC and PWA have security at their heart. PWAs for the simple fact that one of their requirements is to be served from a secure origin (https), and WebRTC for its secure architecture which leaves no room for developers to accidentally send data in the clear. The optional web server “Kopano Web” even takes care of requesting an SSL certificate for your installation from Lets Encrypt. 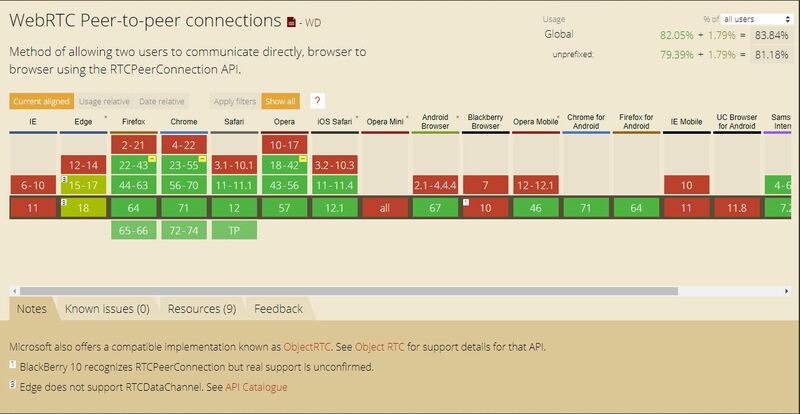 As a PWA it benefits from easy user roll-out and simplified updates, since there is (apart from a web browser) no software that needs to be rolled out to the end user, not even on a mobile device or tablet. All the user needs to be aware of is the URL under which he can reach the companies’ Meet installation. Updates are just a matter of reloading the page (Meet even asks you for it if it sees that the locally cached version is out of date). How To Get Started With Meet? Interested in trying Kopano Meet? Head over to the documentation to learn how you can add Meet to your existing Kopano installation. Also, make sure to check the FAQ at the end of the manual.